What are benefits of fuel additives? Fuel additives is a liquid that is used alongside your fuel, often adding the fuel additive before you fill up with fuel. Fuel additives contain compounds to add more efficiency to your average fuel, providing many benefits to the car’s performance. Fuel additives increase a fuel’s octane rating, creating a higher rate compression ratio. Claiming that fuel additives should be added every 3,000 – 5,000 miles. The additives increase the car fuel octane, meaning the engine will have a higher compression ratio. Improving the combustion in the engine means the fuel is being fully used to its maximum potential, with less carbon deposits left behind once the fuel is burned. The fuel additive will also increase performance in acceleration due to fuel additives having the effect of cleaning carbon deposits from the fuel jets, increasing acceleration response. 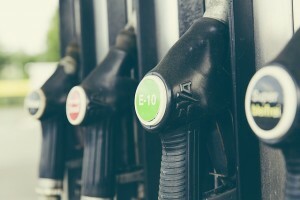 What are the benefits of fuel additives? Fuel additives provide many benefits, the main one being the effectiveness of the additive. Many people who have never used fuel additives may feel a real difference when using it for the first time. With an increase in engine power and acceleration being a big benefit and the more noticeable difference it will make. Fuel additives will also prolong engine life, removing carbon deposits from the engine system that would otherwise sit in the combustion chamber leading to a lack of engine performance. This has a knock-on effect on engine noise while the car is idling. Fuel additives can become cost-effective saving you money on fuel, due to the high octane you achieve better engine performance and a higher MPG. However depending on what type of fuel additive you purchase this could change, due to the different prices you could pay.